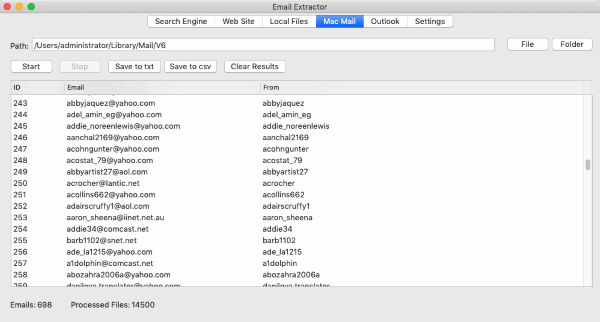 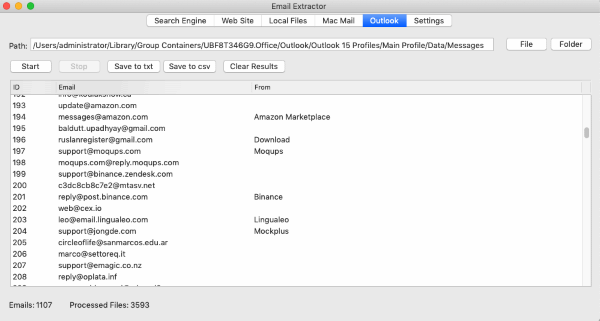 Email Extractor for Mac is a powerful utility designed to extract email addresses from internet and local files. 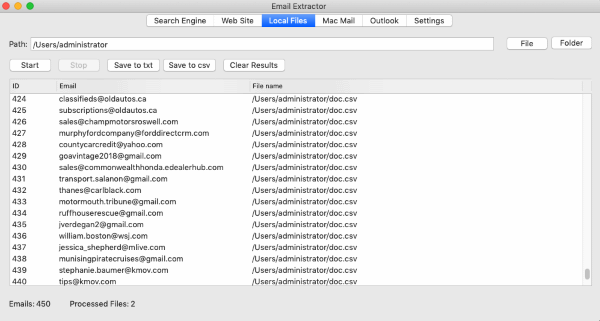 It is the best tool for creating new contact list. 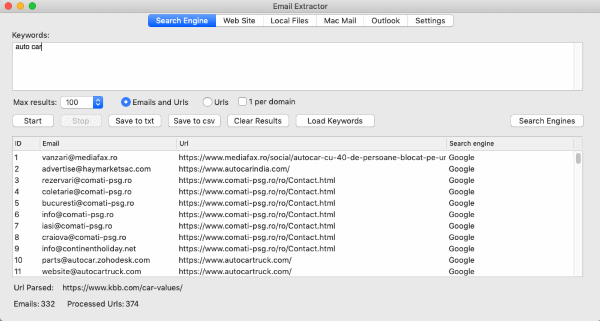 Internet: Using search engines like Google, Bing, etc. 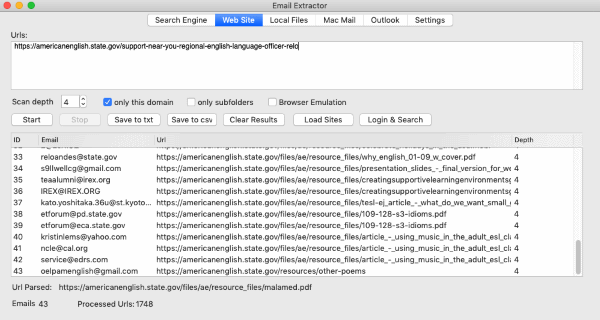 If the Email Extractor program isn't opened after you download it please follow this instruction.